Changed venue: Aylesford School, Tapping Way (off Stratford Road), Warwick CV34 6XR -- from October 2019 this will be the location for our evening meetings. The move was prompted by the increasing problems parking in central Warwick. We do this with regret, as many of us are fond of the historic building we use. However our new meeting place is modern and well equipped (with ample free parking! ), so we are confident that it will be to members' liking. Please note that evening lectures will begin at 7.30 pm, with tea and coffee served from 7 pm. Click here for a map and directions. At the AGM on 19th March Dr. Bland had reached the limit of his allowed six- year term as Chairman and was succeeded by Dr. John Wilmot. Dr. Pinches retired as Editor on account of her move to North Wales and was suceeded by Dr. Andrew Watkins. Mrs. Beevers, after twenty -years’ service on the committee, was retiring. Professor Kümin after six years, during which he provided a valuable link with the University of Warwick, was also retiring. Dr. Nicholls, after being co-opted during 2018 had had to stand aside for family reasons. During the year, Mr. J. Ranahan was co-opted as Programme Secretary (Lectures) and Mrs. R. Fisher was co-opted as Programme Secretary (Visits). For a full account please click here to read the AGM minutes. Saturday 11th May, Outing to Griff House, All Saints Church and Chilvers Coton Heritage Centre, Chilvers Coton, Nuneaton. See our WLHS EVENTS PAGE for further details on this and our other past and future talks..
News (local history noticeboard): On our NEWS page -- find out about the latest publication by the Dugdale Society and the 17th Warwick Symposium. Read about GeoWeek, a national awareness week capturing the essence of the local scenery and landscape, including the underlying Geology with a series of events which may include a geoscience field visit or guided walks. Geoweek 2019 runs from 4th until 12th May. See our 'OTHER EVENTS' page for more details of the local events lead by volunteers from the Warwickshire Geological Conservation Group (WGCG). Fine out more about the Polesworth Poetry Trail, the latest information on events for the George Eliot bi-centenary, 'Living through the English Civil War' project, the Kenilworth FHS Programme, and the Southam Heritage Collection; also Newcomen lectures in Birmingham, Research Conversations at Stratford, and details of the fine Radway civil war display. For comprehensive details of Warwickshire events, see our Bulletin. Improved opening hours at Shakespeare Birthplace Trust (the largest Shakespeare collection open to the public -- also an important local history repository); the Shakespeare Library and Archive is now open on an additional day, i.e. on Tuesdays as well as Wednesdays--Fridays, 9.30 -- 4.30 and Saturday 9.30-12.30. Events Run by Other Local History Societies. Go to our 'OTHER EVENTS' webpage for more information on what events our affiliated socieities are running across the county. Publications: A new cumulative Warwickshire Bibliography is now available. See link on 'Publications' page; please let us know of any errors or omissions. 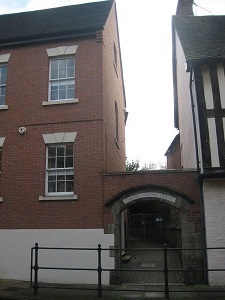 The Hive: Funding Threat to Worcestershire Archives. The news from Worcester is concerning, as the Hive (a combined local authority/university archive) is at risk of leaving more than half its funding. The Friends are asking anyone concerned to sign a petition and/or to write in support; please see fuller details here. Most recently, we enjoyed a Members' Evening entitled 'Aspects of Warwickshire History. Three members, Steve Moore, Robert Howe and Mark Booth, each gave a lively synopsis of their recent research into three very different topics. Visit our WLHS EVENTS PAGE for more details of this and other past events. The winter lectures are free to WLHS members and members of affiliated Local History Societies. We now charge non-members £3.00 -- refundable on the night when joining the Society! The Society's twice-yearly news bulletin includes contains society news and details of forthcoming local history lectures.